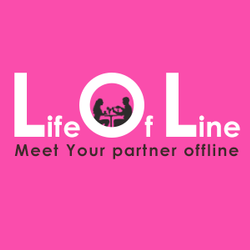 All members get specific registration number and they get privileged entry to theme events by LOL. All members get 4 Free Speed Dating events or Goa Events (interchangeably consumable) across India. All members get VIP invitation for Social mixer parties by LOL in all cities of LOL Operations (Suppose there is a social mixer in Mumbai and LSC member travels from Bengaluru (Bangalore) to Mumbai, he/she can participate in that event. LOL organizes theme base parties for all LSC members in all cities. That will give access to meet more girls and guys in your city which you never met. This membership is valid for 1 year only. This membership fees is for Registration to the club. If any offer is not sold at the time of signing up, members must pay cover charges for all the events they participate. LOL management has full authority on the validation of membership and this membership terms and conditions and validity is subject to change/cancel at any time by LOL management. All LSC members need to follow and respect the rules and guidelines of the events and any violation can term Upto fortification of the registration amount as well ban from membership. LOL reserves its absolute right to withdraw and/or alter any terms and conditions of the offer at any time without prior notice.